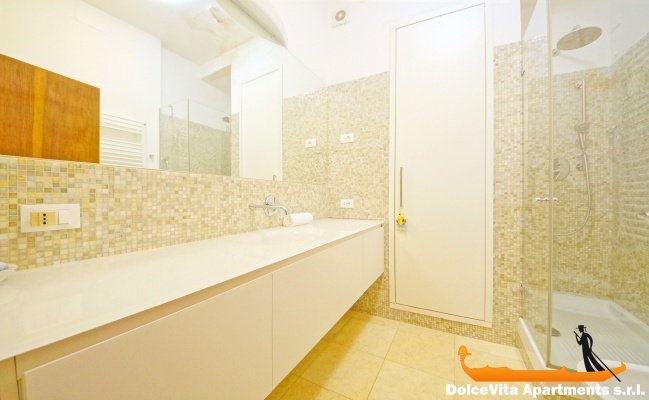 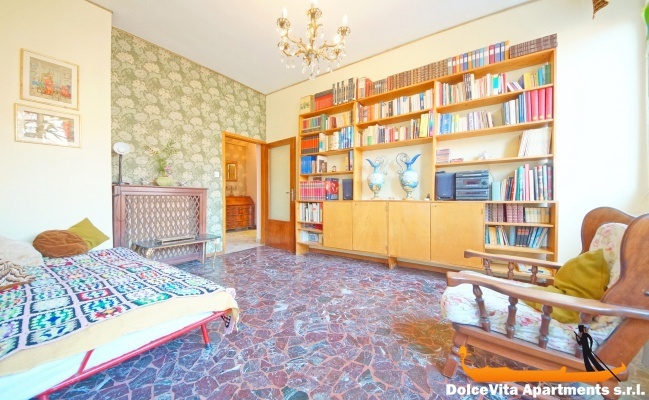 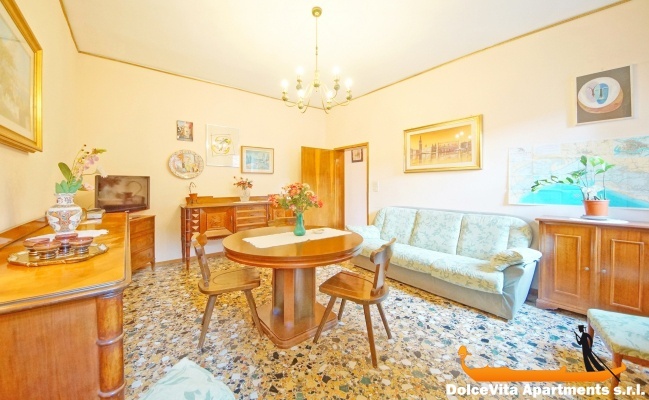 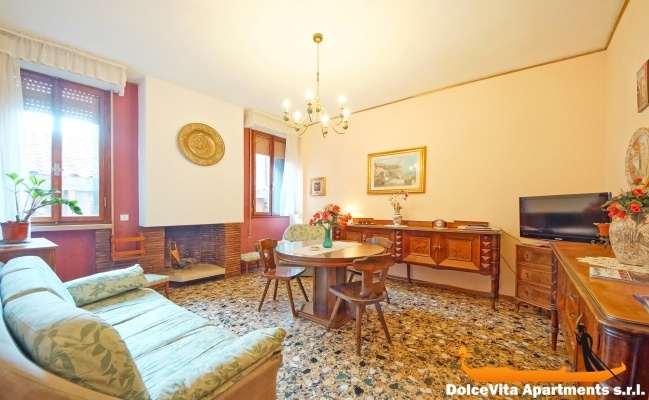 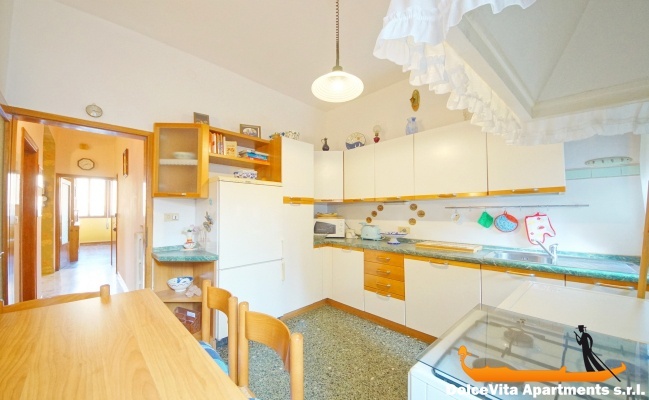 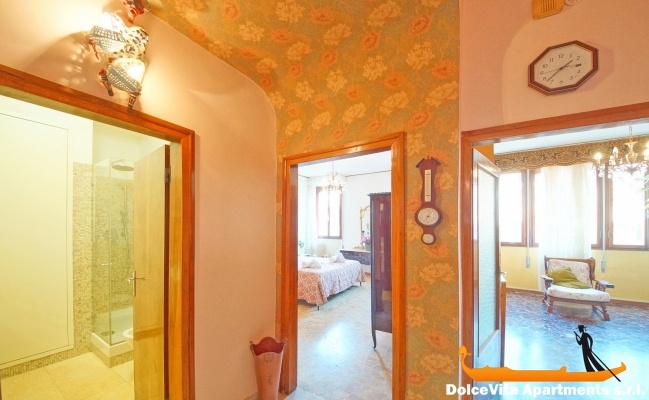 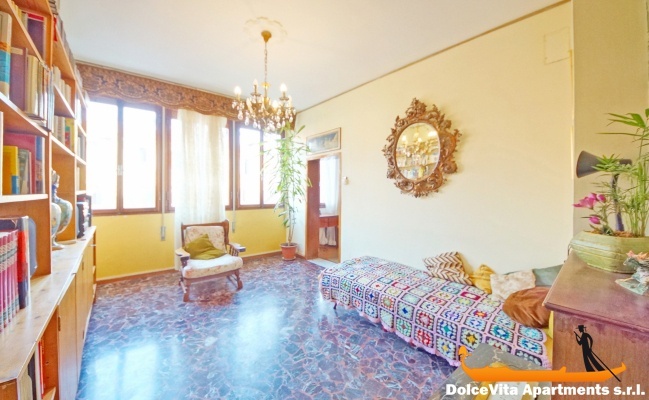 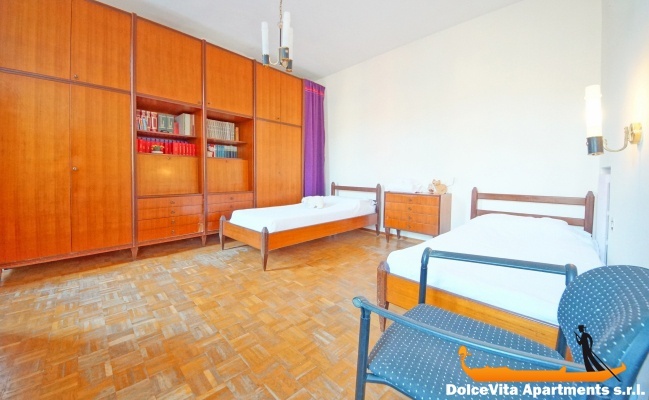 Apartment N. 270: It can accommodate up to 5 people, it is rented from 200 € per Night (not per person). 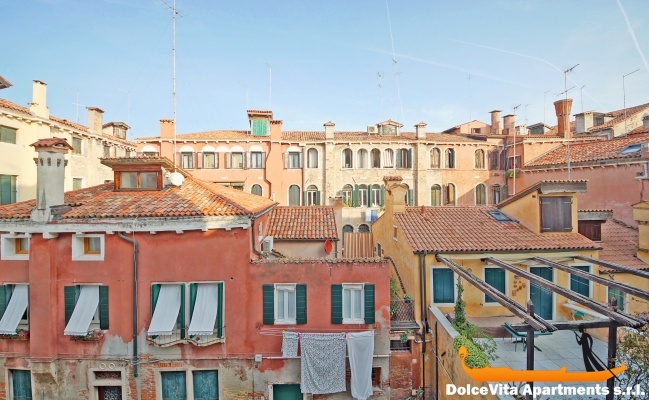 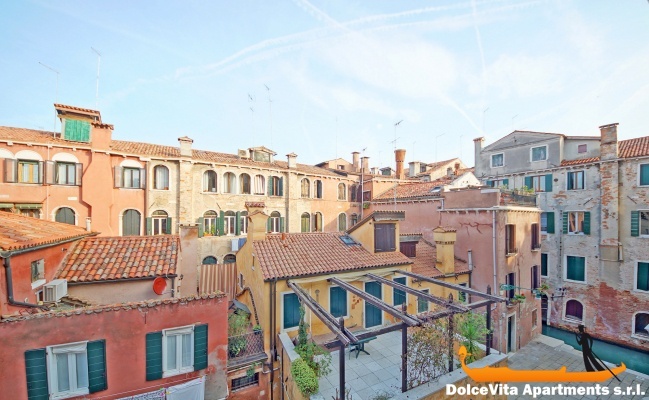 Apartment in Venice San Marco to Rent with Terrace: The apartment is on the second floor of an ancient building in the Saint Mark district, a short walk from Campo Santo Stefano: in addition to being in a strategic area close to all major tourist attractions, the apartment is large and bright . 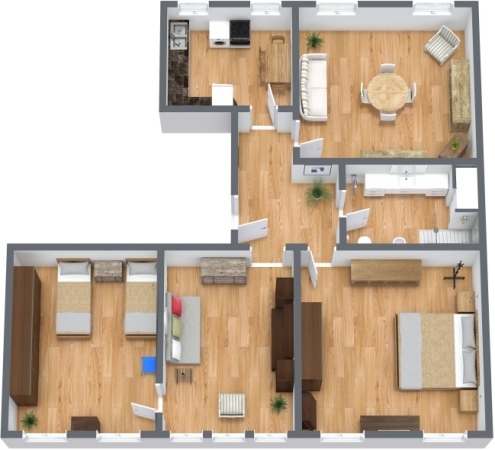 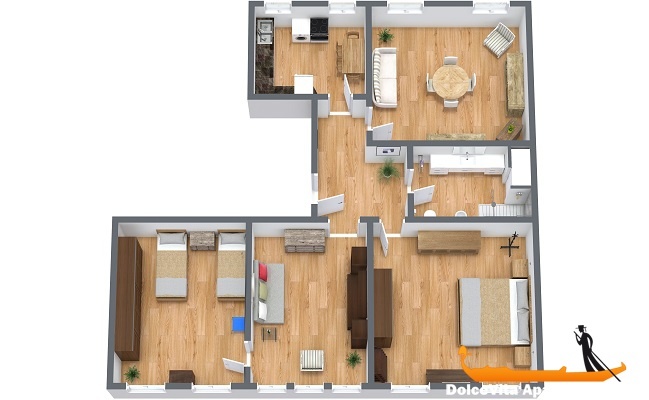 It comprises an entrance hall, two large bedrooms, a living room with TV, a dining room, the kitchen and a new bathroom complete with all sanitary with elegant glass sink and shower. 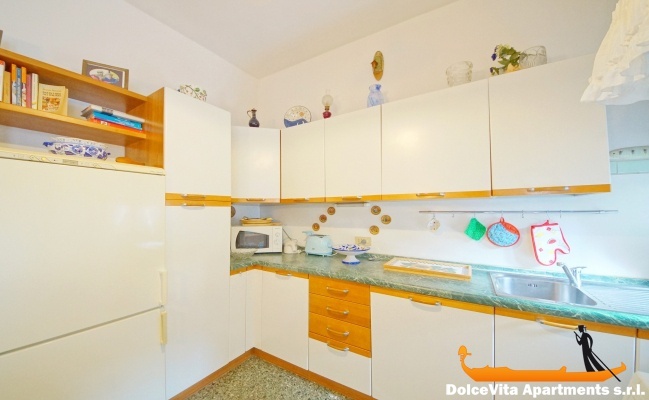 The kitchen is well equipped, with a wide selection of pots and accessories. 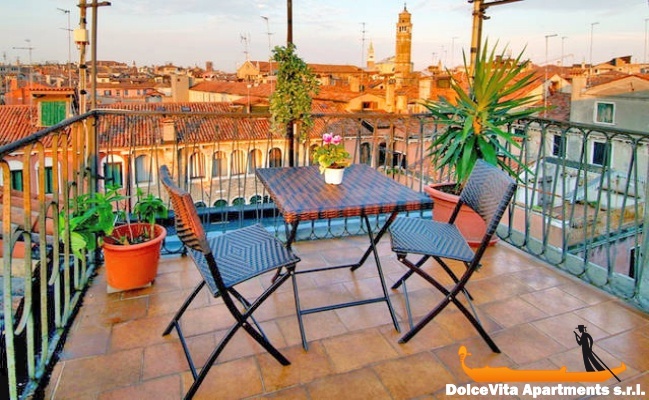 On top of the building there is a communal terrace panoramic: from here you can see the bell tower of Saint Mark and, on clear days, you can see the Dolomites. 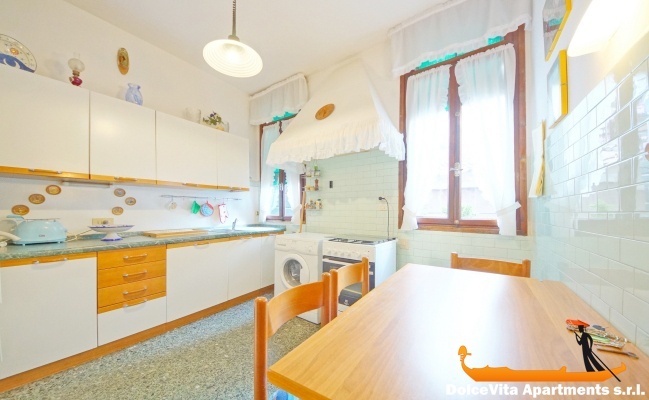 One minute from the apartment there is the waterbus stop of "San Samuele" and 4 minutes the water bus stop of "Sant'Angelo" where it stops "alilaguna" the convenient shuttle that connect Marco polo airport with Venice city centre. 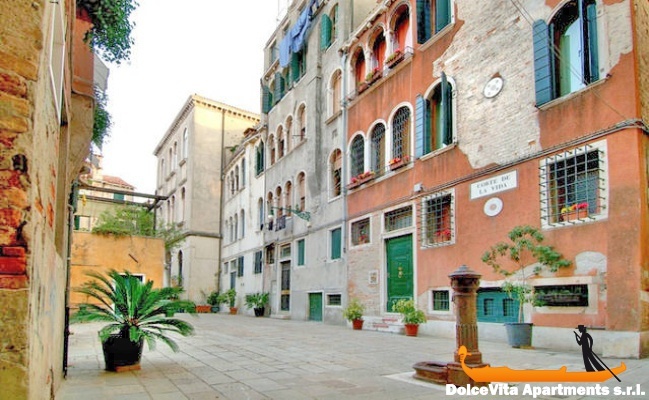 Always a minute's walk from the apartment, there are: Palazzo Grassi, the Academy and the Campo Santo Stefano.